You will surely love to enjoy the uninterrupted service of your mobile during a long drive. 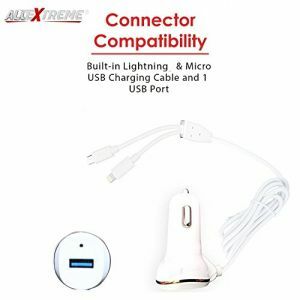 At AllExtreme, we present a range of mobile chargers which efficiently charge the mobiles of all popular brands like iPhone, Motorola, Samsung, HTC, Vivo, Sony, Chroma, and many other while you are on the go. Made using the latest technology and premium quality materials, our entire range of mobile chargers are also compatible with all battery hungry gadgets and help you to get the best benefits of them while on the go. To add to your delight, we present our collection of car mobile chargers with different technical specifications. Explore our entire range of mobile chargers for cars to buy one which suits you the most at unbeatable prices.